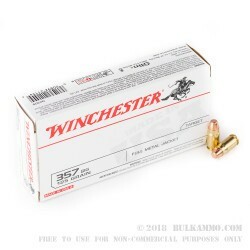 Grab this bulk priced 500 round case of Winchester "white box" ammo to train with your .357 SIG handgun. 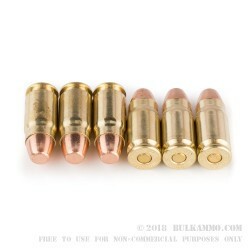 These cartridges deliver good accuracy and reliable performance at a very reasonable cost. 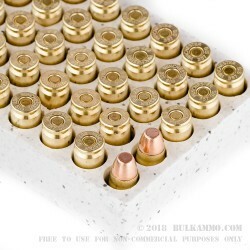 Each cartridge in this case propels a 125 grain full metal jacket bullet to a muzzle velocity of 1,350 feet per second. 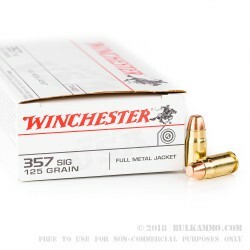 As with most .357 SIG ammunition, these rounds deliver nice, flat trajectories along with relatively stout recoil. Winchester ammunition is made in Oxford, Mississippi using non-corrosive Boxer primers and reloadable brass cases.